The Oregon Senate today gave final legislative approval to the Clean Electricity and Coal Transition Plan. Already approved by the House and awaiting only the governor’s signature, SB 1547-B allows Oregonians to stop paying for coal-fired power by 2035 and doubles the state’s renewable portfolio standard for investor-owned utilities to 50% by 2040. The NW Energy Coalition and many of its member organizations have been deeply involved in this historic collaboration between investor-owned utilities, clean energy/climate organizations and the state’s foremost consumer advocacy group. This diverse coalition crafted the bill, which was then strengthened through legislative compromise. Thanks to all who worked on this clean energy legislation and supported the bill publicly and by contacting legislators. You made all the difference! Here’s our joint press release from the groups. Analysis of the legislation’s expected impact has shown that the plan will reduce carbon pollution across the western states by 30 million metric tons – the equivalent of taking 6.4 million cars off the road. The legislation also includes provisions to keep electricity prices affordable and ensure reliable electric service for utility customers. “Voters asked lawmakers to kiss coal goodbye and they listened. 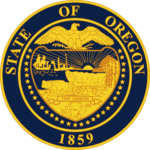 Now it’s up to the Governor to sign the bill,” said Thomas Wheatley, Campaign Director for Renew Oregon, the coalition that proposed a ballot measure to accomplish the same goals as the legislation.